Our Fab Fash Life: Happy Sunday Hons!! Hon Fest 2017 A Little On The Sweet Side!! Today I have a fantastic review and some super colorful pictures to share. Yesterday Rob and I went to the Hon Fest, which is a great little festival held in Hamden of Baltimore City MD. Everyone dresses up in a Bawlmer style that is unique and unlike any other, as you will see in the pictures. All of the ladies wear their hair high in a bouffant style, or they wear big rollers in their hair, some even had Marge Simpson like wigs that were super high and decorated with birds, flowers, and all types of other interesting trinkets The coolest was the woman below, she had on the wildest costume of the evening. It was a fat suite all dolled up to match the theme perfect, she even stood in a stance to give it the perfect cartoon feel, it was awesome. I saw one family that was all dressed to match and it was so cute. 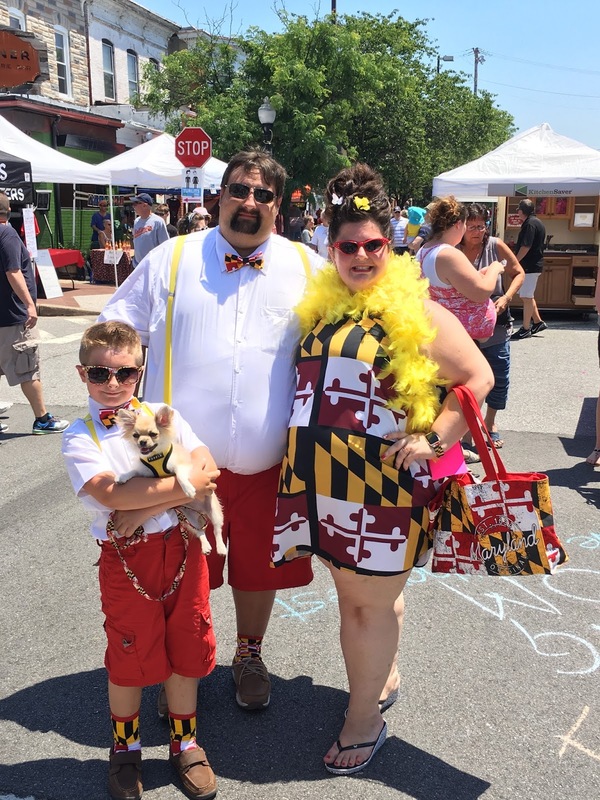 Mom had on a Maryland flag dress, and matching purse, with a yellow boa, then Dad and Son each had on a white button down top, with red shorts, yellow suspenders, and Maryland bow ties to match. Their cute little long haired chi also matched, with an adorable little black and yellow harness. I'd have to say it was absolutely one of my favorite costumes of the day, out of all the different crazy looks I saw. Rob even stopped and took a picture with a couple'a hons to get into the spirit, wow was it hilarious. 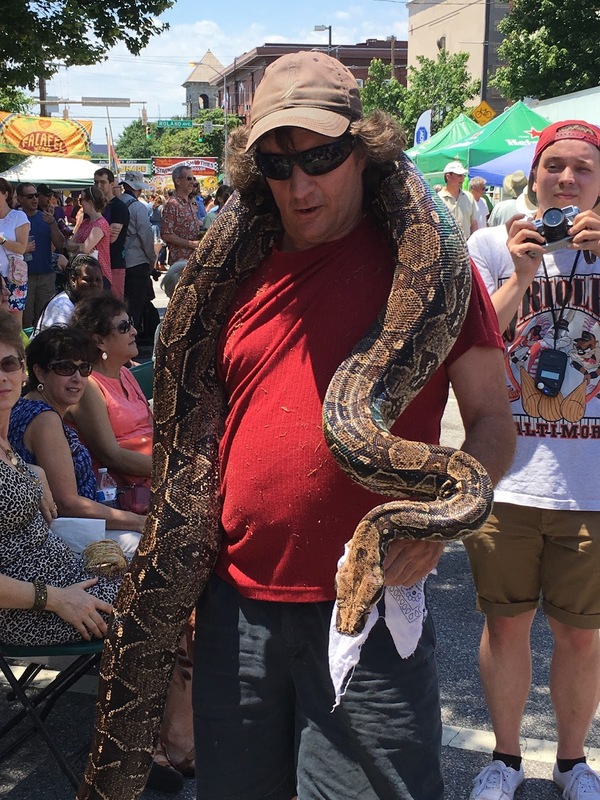 He's such a good sport, I even saw one guy walking around with a huge snake draped over his shoulders. I never got a chance to ask what kind of snake it was but wow!! It was the size of swimming noodle,you know the ones that you use as a floaty in the pool. I couldn't imagine the weight and the warmth, it was so bright and sunny at about 90 degrees, so I'm guessing it wasn't to comfy to carry that big boy around. To beat the heat Rob and myself each got tall strawberry banana daiquiris, they were perfect for the crazy heat. There were also so many things to eat, but with it being so hot I just wasn't in the mood to stuff my face even thought there were so many yummy choices. Remember the breakfast spot called Cafe Hon I was telling you guys about a month or so back, that is the center of all this awesomeness, and definitely the place I would have stopped to eat in had I been in the mood. I go there for breakfast on the weekends, they have this amazing southwest grits platter that will blow you away. (Keep an eye out I'll be doing a review post on this resturant soon) For the most part we just schemed around, looking at all the cool little stands, and chachkies, sipping on our daiquiris. I got smart and wore my big floppy hat to keep myself shaded and cool, along with my new VS Pink tee that has the v-cut laced opening in back, this keeps me cool, along with the matching sheer capri leggings. They're super thin and really cool so they were perfect. I'm one of those people that can not take the hot weather, I get overheated very easily. Since I knew it would be so hot I avoided any makeup except eyeliner. 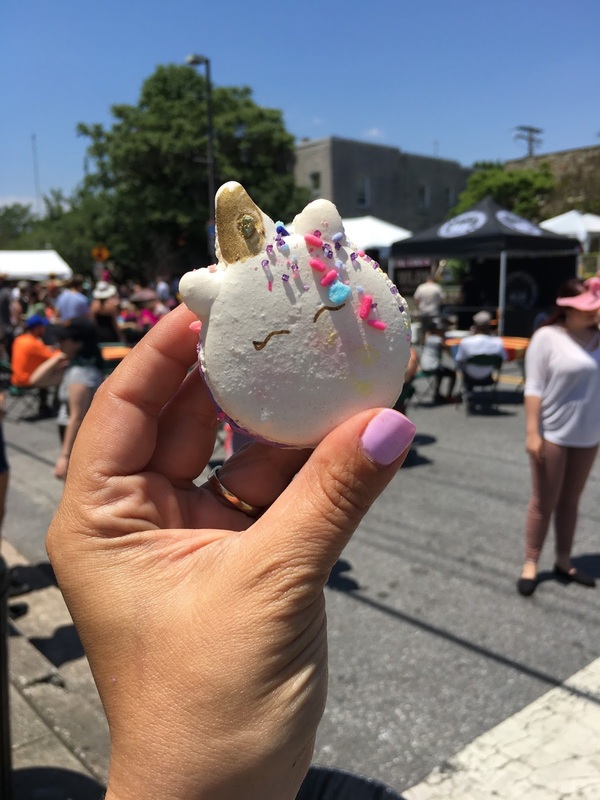 As we made our way further thru all of the stands of cool Baltimore themed trinkets, food, and many different types of people in costumes of all kinds, I came to one of my favorite places to get Macaron cookies. It's called Sweet Side Cafe, and it's a fantastic little spot not only do they have every sweet treat you can think of, they also have an ice cream bar where you can create your own custom sundae. If your not in the mood for sweets, they also have a menu of great stuff for breakfast and lunch, along with coffee and tea. There's a section out front with wifi and cute little tables, where you can sit down to eat, chat, or both. It's the perfect spot to chill and hang out with friends and family, or just sit down with your laptop and get some work done while you sip and chew. 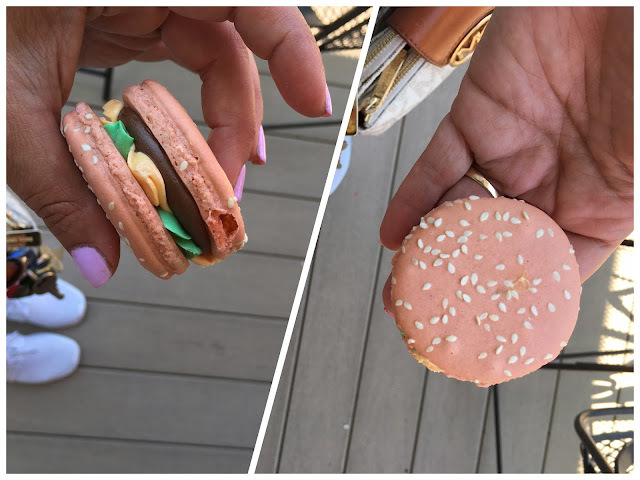 Now I've searched all of Baltimore for a good spot that sells Macaron cookies, and cute ones at that. I have seen pictures of the coolest decorated macs online, but I just couldn't seem to find them in my area, until I found the Sweet Side that is. I picked up some decorated like unicorns, and others that look just like little cheeseburgers. They're so adorable, and not to mention absolutely delicious. Now you guys know sweets are my thing, so if I tell you about a spot it's for sure a good one, and I'm definitely recommending Sweet Side Cafe!! It's located at: 3543 Chestnut Ave, in Baltimore MD, go check them out you won't regret it. 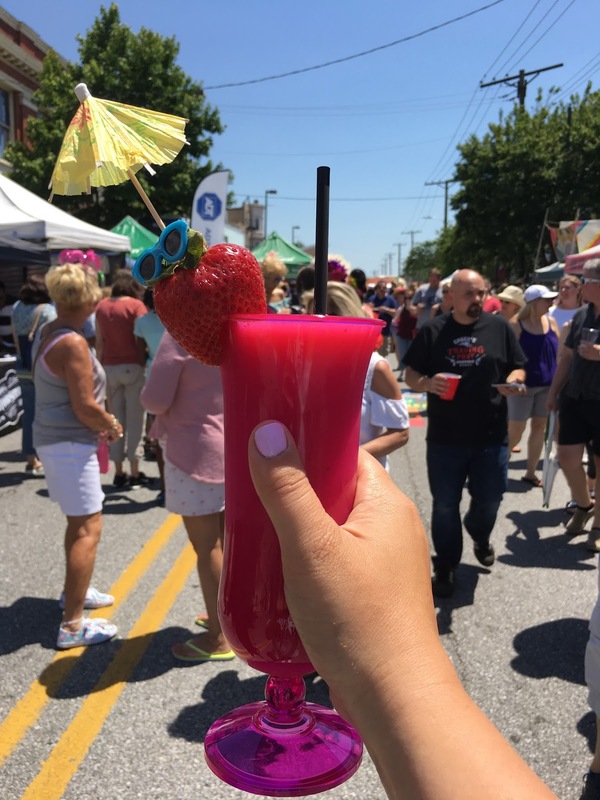 The Festival is still going in until 11pm tonight (Sunday June 11th 2017) there's live music, food, and lots of fun stuff planned for the main stage location, in the center of the festival. All of this is taking place on 36th Street, the heart of Hamden, in Baltimore City. We saw Rob Fahey and the Pieces, and they're always a treat. I love going to see local Baltimore bands! We're heading over to Pier 6 Pavilion tonight to see Bryan Adams, so that should be fun, I love his music, man does he have a lot of hits. We went to see him in DC last year, what a great show that was. As you come to know me more, you'll see that Rob and I go to a lot of concerts, it's one of out favorite things to do. Anyway make sure you head out to Hon Fest 2017 and have some fun, but make sure to dress cool because it's smokin' hot out today. 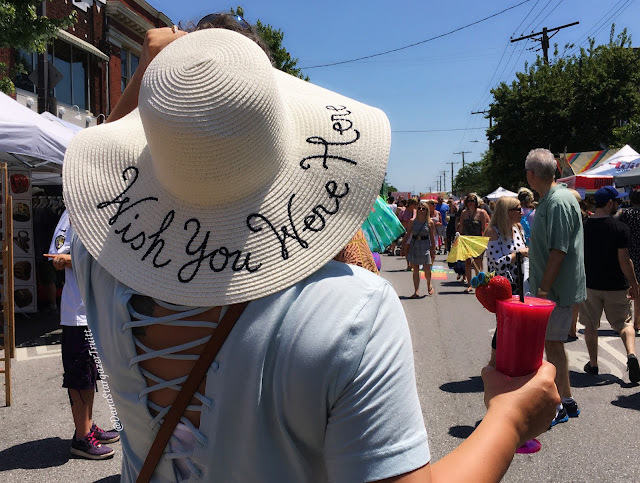 Have a wonderful week and let us know below what your favorite yearly festival is to attend in your local area? We'd love to know!! This festival looks like so much fun! That snake was crazy big!!! This looks like so much fun! Love the Macaroons! We had a really good time, and yummy they're def my faves!! That looks like such a great even! It was tons a fun, were def going again next year!! This looks like so much fun! And thise macarons are everything! This looks like so much fun! 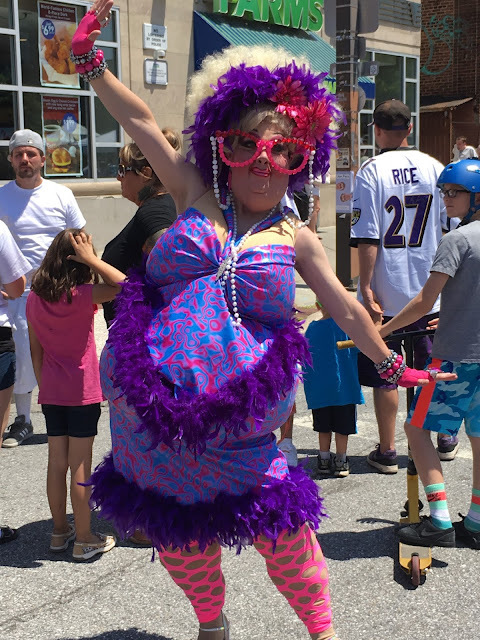 Love the woman in the purple costume! Ha Ha isn't that the funniest thing ever! 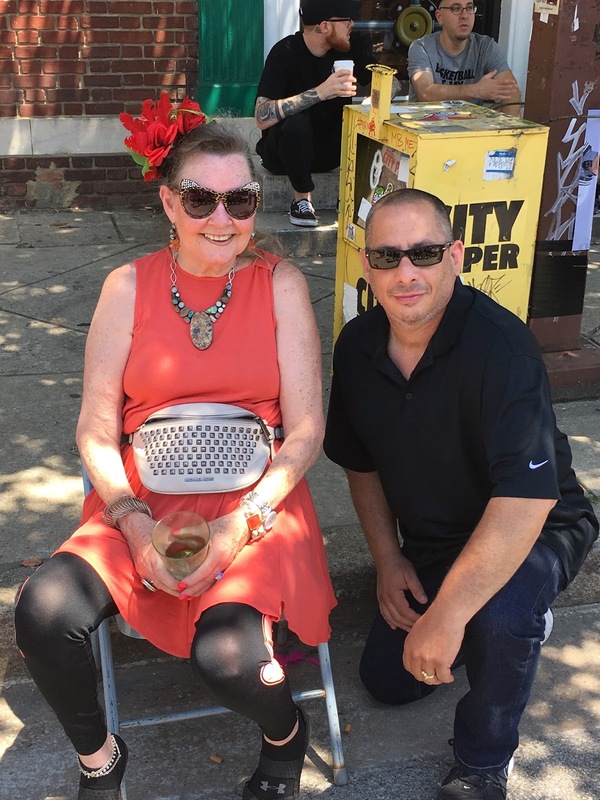 I had to stop her for a picture...lol!! I did ... thanks so much!! It was a really good time, not to mention the food!! Yummy!! It was ...Thanks so much!! Anytime, thanks so much for stopping bye!! It looks like so much fun, thanks for sharing darling. Thanks so much, it was so much fun!! I already cant wait for next year!! That looks like it was an amazing time! There were some fun costumes in those pictures. Cupcakes are a real art! Love the pics! The snake in that one picture is just crazy! I don't know what I would do if I was walking by and saw that. That daiquiri is so pretty with the garnishes they put on it! The little umbrella and sunglasses is cute!